Who loves single serving desserts? Well technically this makes 4 single serving desserts, so in reality would this still be considered single serving? I’m gonna say yes, because I could eat these all in a single sitting. Wow, that totally shows how much control I have! 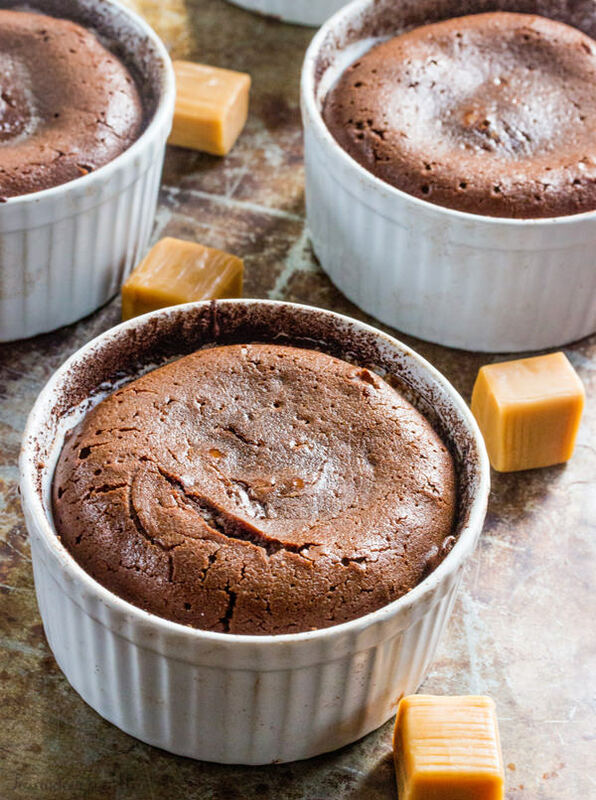 These Chocolate Caramel Lava Cakes are one of my absolute favorite desserts to make. They are quick, easy and oh so gooey! 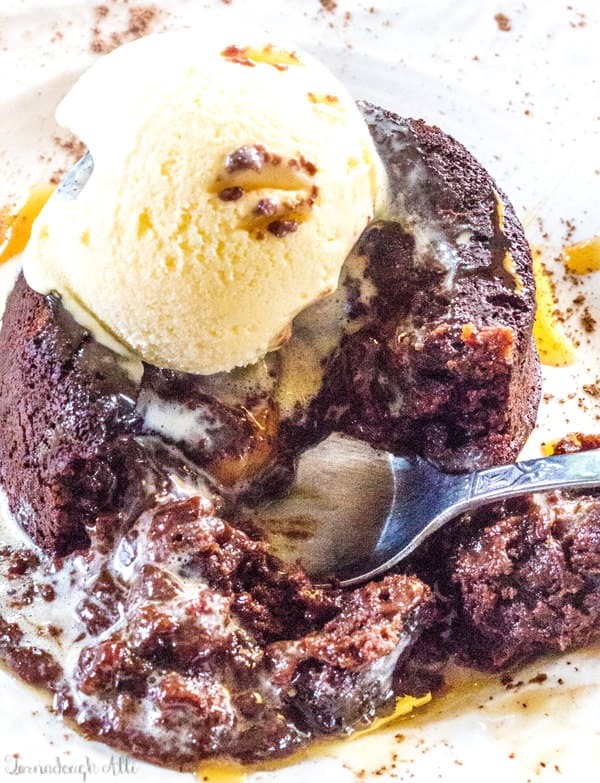 And when it comes to gooey desserts…I’m a sucker for sure. I mean just check out my Caramel Pumpkin Spice Earthquake Cake, now that’s gooeiness at it’s best! I have this thing with caramel desserts. I mean, it’s literally one dessert that I cannot say no to. Like if you ask me if I fancy something that has caramel in the name, there is no stopping this girl from inhaling it. 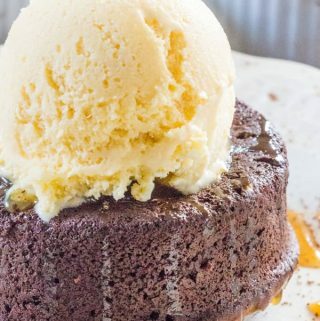 And that doesn’t stop with these Chocolate Caramel Lava Cakes! 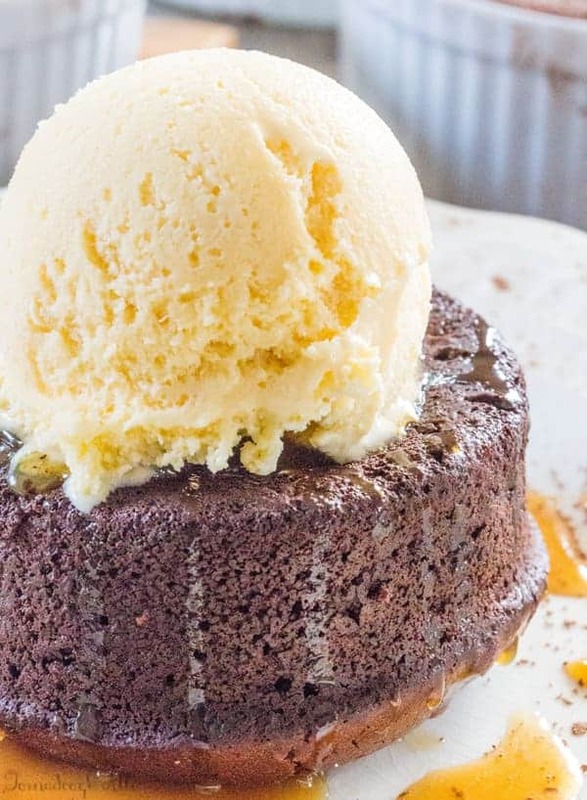 There are so many ways that you can actually make these Lava Cakes. Like yourself some peanut butter? Swap out the caramels and add yourself a tablespoon of peanut butter instead. Oh man, creamy peanut butter and gooey chocolate center? I mean what can be better than that…well besides caramel? Ok, these delicious desserts have literally minimal ingredients and from start to finish take less than 20 minutes. I mean are you serious?!?! From start to finish in no time? Now that is a dessert that fits me quite well. I suggest using some high quality chocolate in this recipe as it makes it taste just that much better! If you can’t find any high quality chocolate or you have some plain chocolate chips on hand, that will do just fine as well. There is absolutely no need to be fancy here, it’s gonna be fabulous either way! 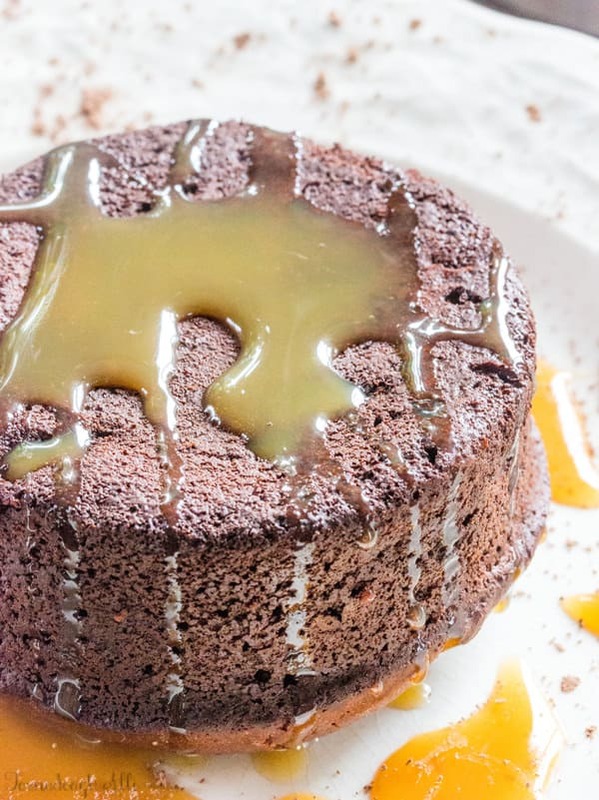 So if you’re wanting a delicious single-multi serving dessert these Chocolate Caramel Lava Cakes are a sure fire bet to make everyone happy! 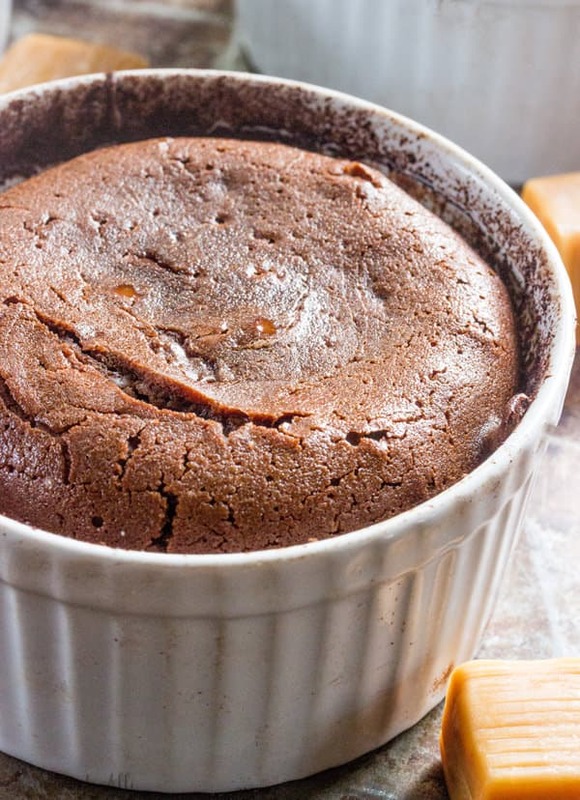 If you love chocolate, caramel and well….cake, then these are just the thing you need! 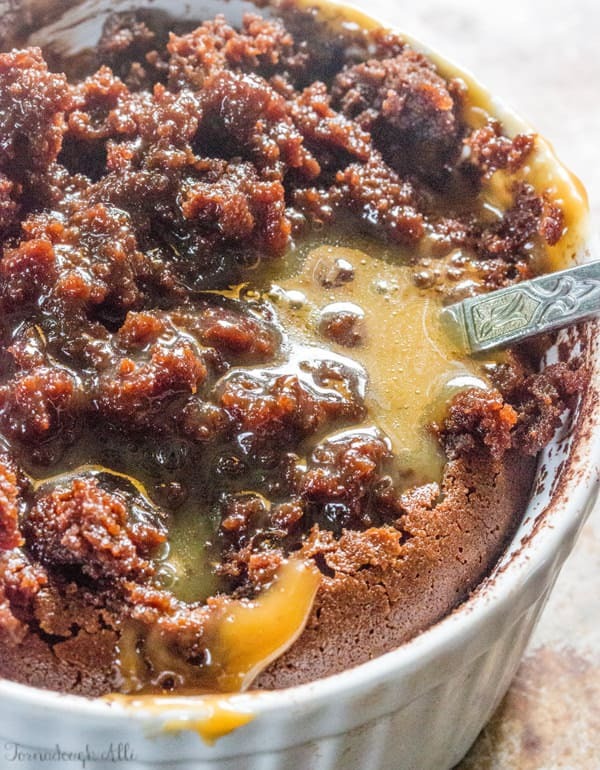 Easy, gooey and full of deliciousness! Spray 4 6oz ramekins with non-stick cooking spray and sprinkle with cocoa powder to coat, set aside. In bowl add your butter and chopped chocolate and microwave on 50% power in intervals for about 1-2 minutes until melted, set aside. In bowl whisk together your flour, powdered sugar and salt. In another bowl whisk your eggs together. Stir your flour and eggs into your chocolate and mix until combined and lumps are gone. Pour a little bit into each ramekin until about half full then add 2 of your caramels to each and cover with remaining mixture. Place on baking sheet and bake for about 12 minutes or until edges look set and center looks a little under done. Let cool slightly before turning out onto serving plates. Drizzle with some caramel sauce and top with ice cream if desired.